Next year’s pollock catch in the Western and Central Gulf of Alaska will drop substantially, according to the new catch limits for Gulf of Alaska species that are slated to be adopted by the North Pacific Fisheries Management Council. The proposal from the council, which passed on 4 October, would see a 34 percent decrease in total allowable catch for Alaskan pollock, down from 157,455 metric tons this year to 103,905 metric tons in 2019. 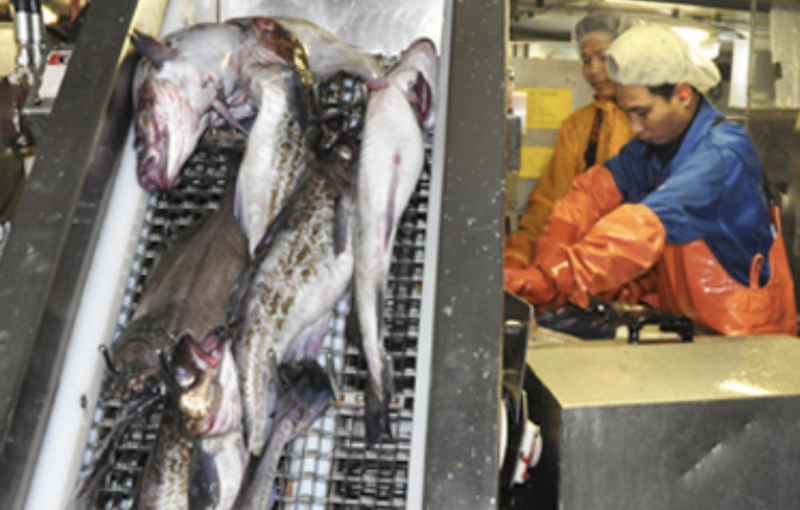 A reduction in total allowable catch for Pacific cod is also expected for next year, down almost 6 percent from last year’s 13,096 metric tons in the Gulf of Alaska to 12,368 metric tons for 2019. On the other hand, the preliminary total allowable catch for sablefish is up 40 percent for next year from 11,505 metric tons this year to 16,190 tons next year. For deep-water flatfish, the total allowable catch has increased slightly from 9,385 metric tons to 9,499 metric tons. The proposed total allowable catch for shallow-water flatfish, however, dropped to 14,529 metric tons for next year as opposed to 15,373 metric tons this year. Further analyses will be undertaken before the values are set in stone for each of the species. The closing specifications for total allowable catch for the Gulf and Bering Sea will be determined at the council’s meeting in December.